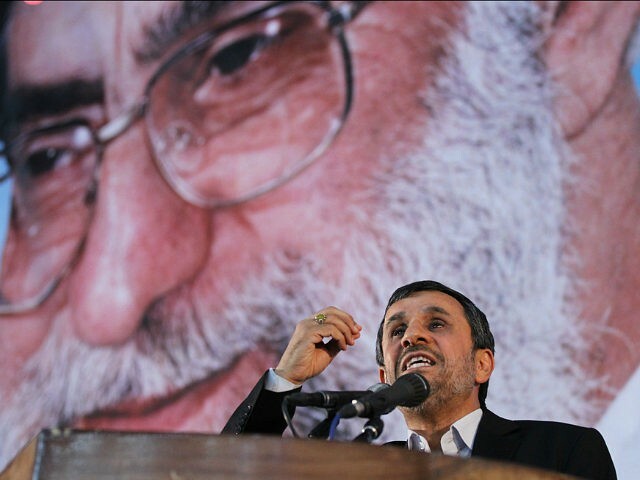 Former Iranian President Mahmoud Ahmadinejad has accused Iran’s Supreme Leader Ali Khamenei of stealing the people’s money to amass his fortune of approximately $800 billion toman, or $190 billion dollars. Al Arabiya news reported that the Dolat-e-Bahar (Government of Spring) website, which is associated with Ahmadinejad, published two letters from Ahmadinejad on Sunday criticizing the supreme leader’s acquisition of $190 billion in illegal ways. Over the past decades, three policies, along with many failures, have led to the aggregation of problems, crises and public dissatisfaction: the oppression and the security environment in the country, and the second is claiming that the situation of all countries is worse than ours in Iran so that everyone should be quiet and not criticize, thirdly the lack of transparency in important matters and hiding the important issues from the people. The letters appear to be in response to the regime’s recent arrest of two of Ahmadinejad’s assistants, Esfandiar Rahim-Mashaei and Hamid Baka’i, on charges of corruption. According to Ahmadinejad, the money Khamenei appropriated came from institutions that are reportedly under the control of the supreme leader’s office, including the Benayad 15 Khordad Foundation; the Benayad Mistaathafen Foundation; the Stad Agri Ferman Imam Center; the Revolutionary Guard Cooperative Benyad Taawon Sibeh; the army cooperative Benayad Artash; the Basij Cooperation Niyad Basij cooperation; the Ministry of Defense Cooperative Benayad Cooperative for Defense Ministries; and the Khomeini Charitable Committee Khimtah Imded Imam Khomeini. Ahmadinejad warned Iran’s Supreme Leader Ayatollah Ali Khamenei last week that the Islamic Republic’s ruling system has lost its legitimacy and demanded “fundamental reforms,” saying its leaders should be replaced through free and fair presidential elections. Ahmadinejad is largely seen as the oppressor of the 2009 “Green Revolution,” which was sparked by his fraudulent re-election to the office of the presidency. Last month, he called for free parliamentary and presidential elections.